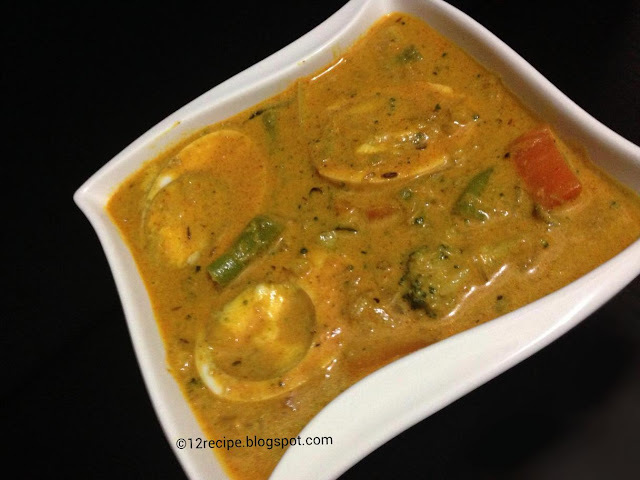 Egg korma is a tasty egg curry that goes well with any types of roti, appam and flat breads. 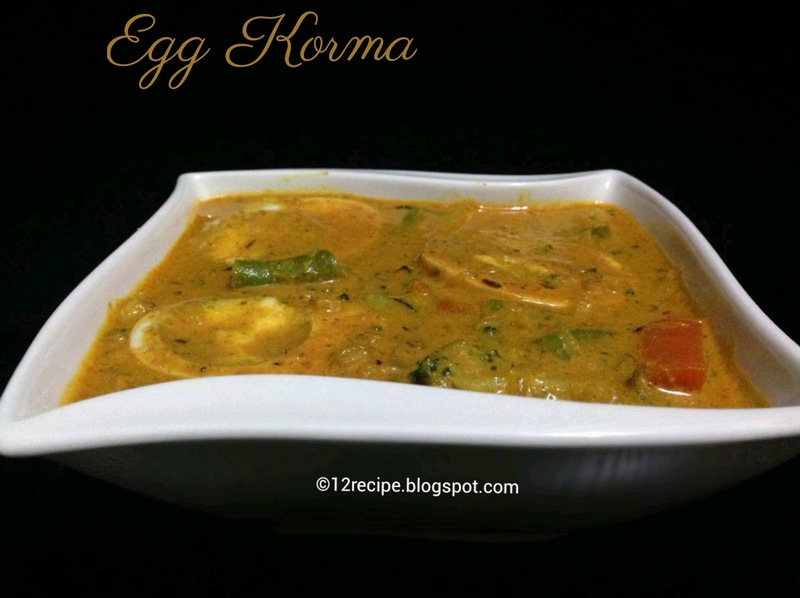 Here the boiled egg is added to the rich vegetable gravy and brings out an awesome korma. Add onion and sauté until golden in color. Add crushed ginger, garlic and green chilly. Add turmeric powder followed by chilly powder, pepper powder and garam masala. Add chopped vegetables along with a cup of water. Add salt and cover cooks it for about 15 minutes until the vegetables are soft and cooked well. Add thick coconut milk and open cooks it until the curry starts thickening. Switch off the flame; add halved eggs and coriander leaves. Serve hot with the choice of your roti!!! Note:Add the choice of vegetables or what you have it with.